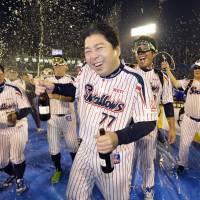 The Tokyo Yakult Swallows gathered near the mound at Jingu Stadium, grabbed Mitsuru Manaka and tossed their first-year manager into the air as the cheers of their exuberant fans rang out into the night sky. 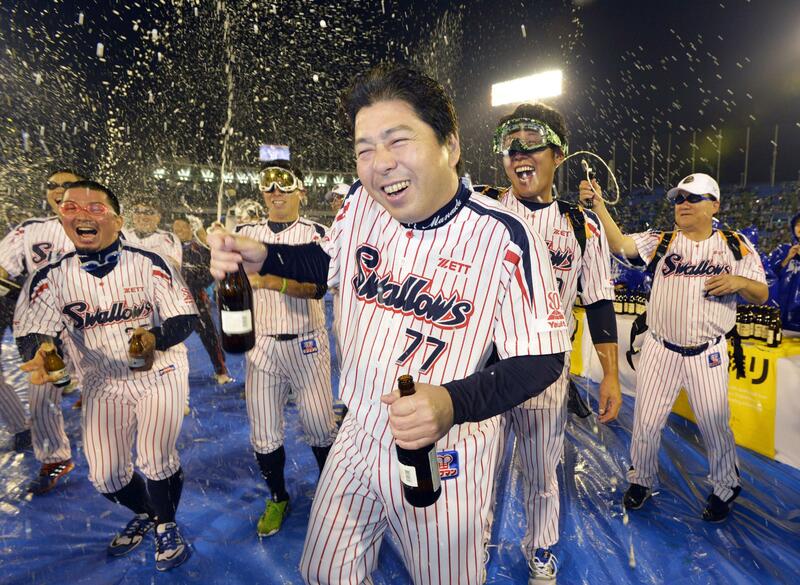 The Birds were celebrating the club’s first Central League Climax Series title. If they do this again, it’ll be because they’ve snared an even bigger prize. The Swallows took advantage of the Yomiuri Giants’ miscues in the field, survived a couple of potential rallies, and advanced to the Japan Series with a 3-2 win in Game 4 of the Central League Climax Series final stage in front of a crowd of 34,038 on Saturday night. 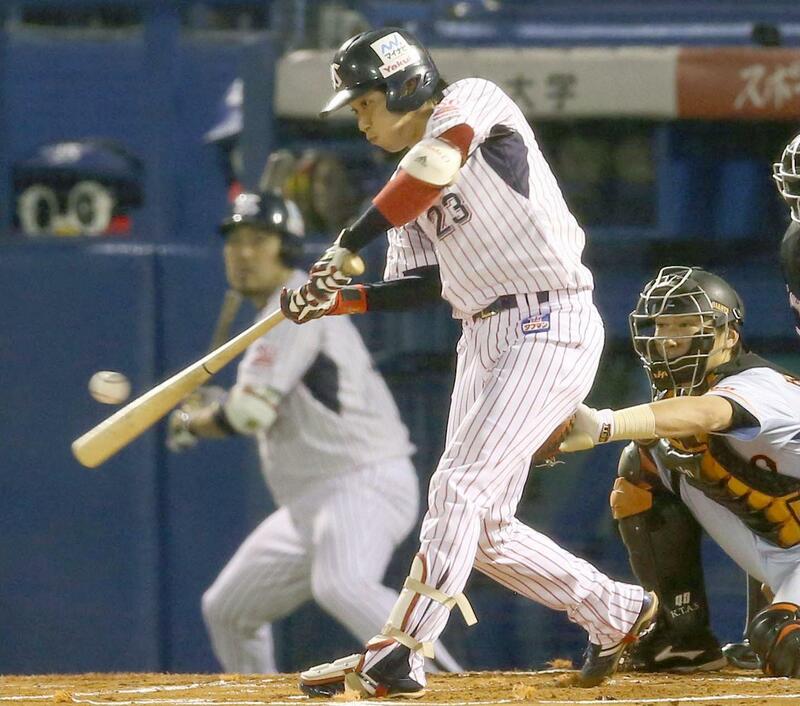 The Swallows, who began the final stage with a one-game advantage, bounced back from a loss in the opener by reeling off three straight victories to close out their crosstown rivals. 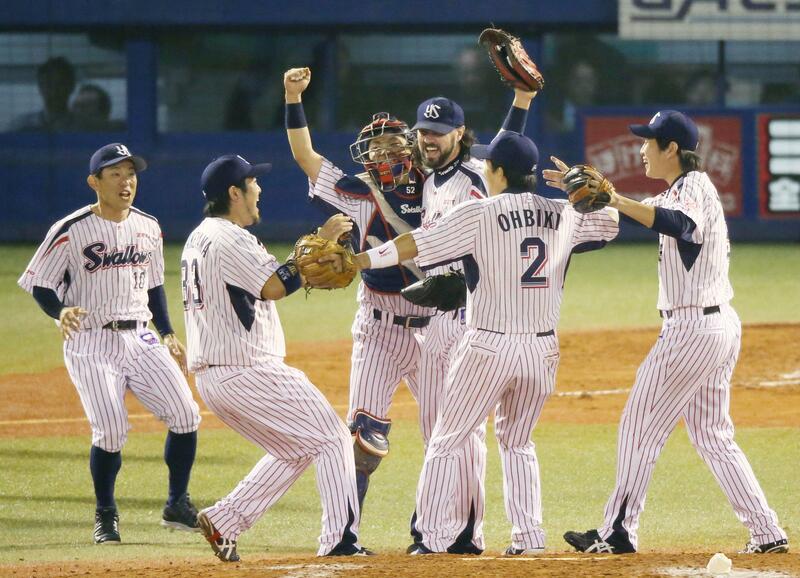 Yakult advances to the Japan Series for the first time since since 2001, when the club beat the Kintetsu Buffaloes in five games to take home the crown. This time, the Swallows will find the Pacific League champion Fukuoka Softbank Hawks waiting for them. The Hawks finished with the best record in Japan at 90-49-4 and won two of their three meetings against Yakult this year. 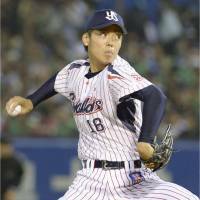 “This is the best feeling right now, but we still have the Japan Series and we have to continue to play hard,” Swallows pitcher Yasuhiro “Ryan” Ogawa said. “We faced them during interleague and we’re going to have to do our best. 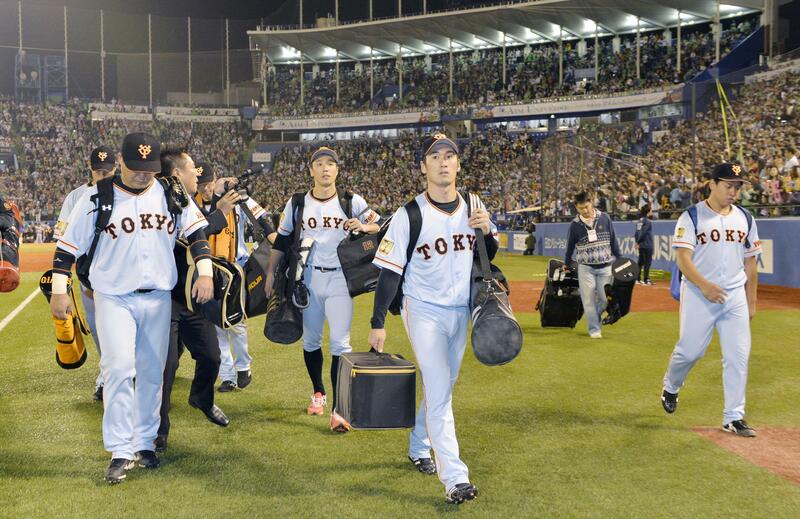 Game 1 of the Japan Series is scheduled for Oct. 24 at Fukuoka’s Yafuoku Dome at 6:30 p.m. The Giants got on the scoreboard after being shut out in Games 2 and 3, but didn’t have enough firepower in the finale. 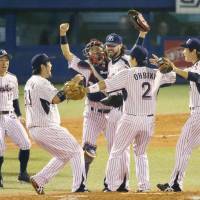 “We had a great season, just came up a little short,” said Yomiuri starter Aaron Poreda. The Kyojin lost more than the series, as it was widely reported immediately following the game that manager Tatsunori Hara planned to step down. 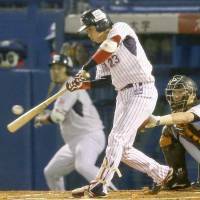 The Swallows got a charge from Wataru Hiyane, who was in the starting lineup for the first time in the series and drove in a run. Tetsuto Yamada also recorded an RBI. 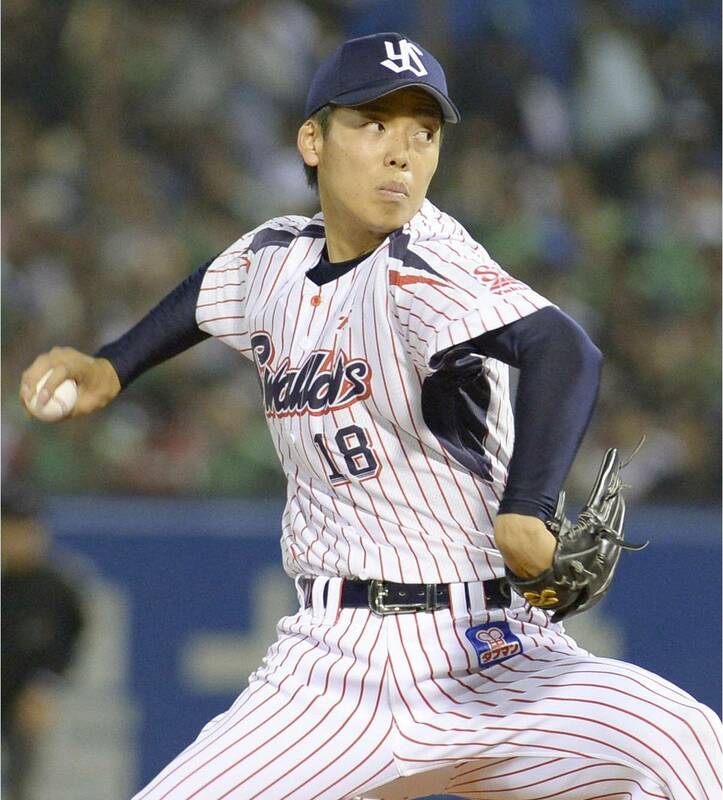 Swallows starter Toshihiro Sugiura was credited with the win after five-innings of two-run ball. Sugiura allowed six hits, struck out two, walked one and hit a batter. Closer Tony Barnette sealed the victory in the ninth with his second save in as many nights. Yakult infielder Shingo Kawabata was named MVP of the series. He batted .467 in the series.It was a rough game for Poreda, who was charged with the loss after allowing three runs — two earned — over two innings, with the Giants playing sloppy defense behind him. 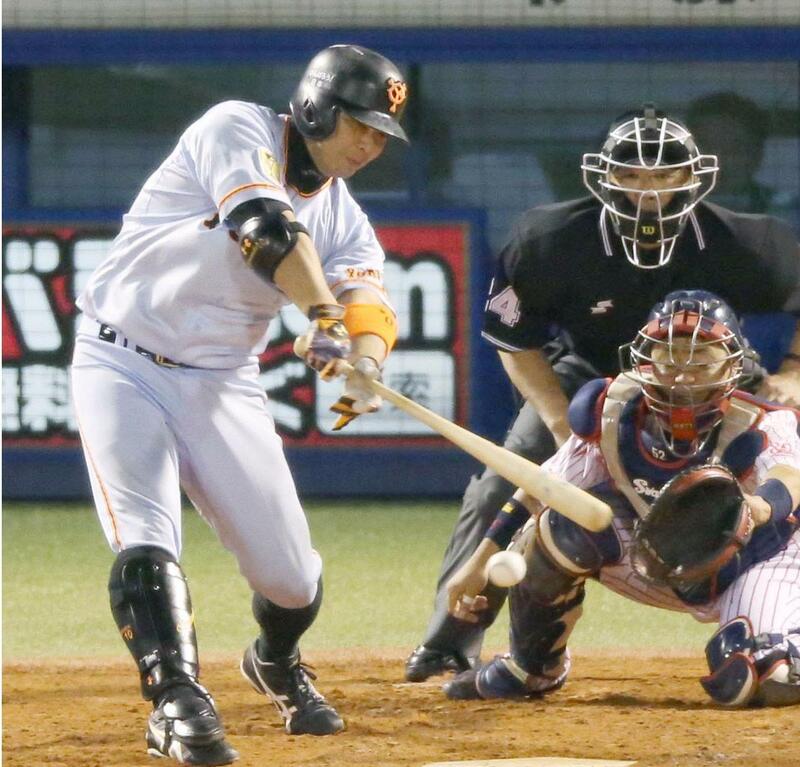 Yomiuri’s Shinnosuke Abe continued to be a hits machine, collecting two more, and driving in two runs, in four trips to the plate. Abe finished the series 11-for-16, with two RBIs, though all of his hits were singles. Hiyane led off the bottom of the first with a hit to right, and reached second as Hisayoshi Chono had trouble picking up the ball. The Swallows put runners on the corners when Yomiuri botched a fielder’s choice and scored when Yamada drove in their first run with a single. The Giants came up with a sound defensive effort with the bases loaded later in the inning, turning a double play on a grounder by Wladimir Balentien, but a run scored on the play, making the score 2-0 for the home team. Yakult’s Keiji Obiki began the second by reaching base on an error by third baseman Shuichi Murata, yet another Kyojin miscue. He was bunted over to second and moved to third on an groundout by Sugiura. Hiyane brought the runner home with a single to center. The Giants, who blew a number of chances with runners in scoring position, got on the board in the fifth when Abe singled in a pair of runs with two outs to make it 3-2. The Kyojin failed to put up any more runs as their season came to an end. Yakult can now look ahead to its upcoming battle against the Hawks in the Japan Series. “They’re aggressive,” Roman said. “They hit and they’ve got good pitchers. They’ve been in the playoff before. They won the championship last year. They know what to do. Staff writer Kaz Nagatsuka contributed to this report.